New Delhi - Drug firm Ranbaxy Laboratories Tuesday reported a consolidated net profit of Rs 477.75 crore for the quarter ended September 30, 2014 on account of robust sales. The company had posted a net loss after tax, minority interest and share in loss of associates of Rs 454.16 crore for the corresponding period of the previous fiscal, Ranbaxy Laboratories said in a filing to BSE. Consolidated net sales of the company stood at Rs 3,218 crore for the quarter under consideration as against Rs 2,750.17 crore for the same period year ago, it added. 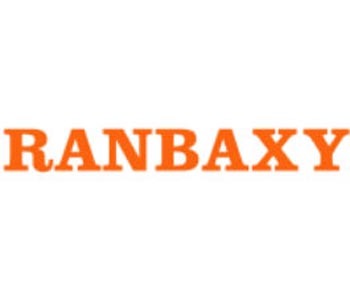 Mumbai: Generic drugmaker Ranbaxy Laboratories Ltd said it had agreed to pay $39.75 million to settle litigations concerning its participation in Texas Medicaid, the US federal-state healthcare program for the poor. The payments will be made in tranches through August 2015, Ranbaxy informed the BSE on Thursday. "The claims at issue related exclusively to the manner in which Ranbaxy has historically reported pricing data to Texas Medicaid for certain of its drugs," the company said in the statement. 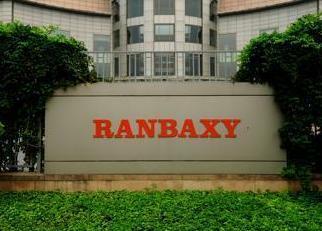 New Delhi - In the first-ever public scrutiny of an M&A deal in India, fair trade watchdog CCI on Thursday invited comments from all stakeholders, including general public, on finer details of USD 4-billion merger of Ranbaxy Labs into rival drugmaker Sun Pharmaceuticals. New Delhi: The Competition Commission, which has put the multi-billion dollar Sun-Ranbaxy deal for public scrutiny, on Friday said the major issue is whether the combination would result in high market concentration of certain molecules. "This is the first case" of combination where the Competition Commission of India (CCI) has gone for a public scrutiny, the fair trade watchdog's Chairman Ashok Chawla said. In April this year, Sun Pharma and Ranbaxy had announced a USD 4-billion deal that would create one of the top five largest speciality generics company in the world. New Delhi: Putting the multi-billion dollar Sun Pharma-Ranbaxy deal under close scrutiny, fair trade watchdog CCI has sought more information from them to ascertain whether the deal would skew fair competition in pharma sector. Competition Commission of India (CCI) would take a final view on the deal after receiving details from them and could seek more information if it is not satisfied with the responses. "We have sought more information from the two companies. We will take a final view after getting the required information," a senior CCI official told PTI. New Delhi: Mumbai-based Sun Pharmaceutical Industries will seek shareholders nod for its USD 4 billion acquisition of Ranbaxy Laboratories in a court convened meeting on August 22. In a filing to the BSE, the company said the meeting would be held at Vadodara on August 22, 2014. The company said the Gujarat High Court had issued an order on July 16, directing the company to hold a meeting of its equity shareholders to consider and approve the scheme of arrangement between Sun Pharma and Ranbaxy. New Delhi: Drug firm Ranbaxy Laboratories on Tuesday reported consolidated net loss of Rs 185.92 crore for the quarter ended June 30, 2014. The company had posted a net loss of Rs 524.24 crore for the corresponding period of the previous fiscal, Ranbaxy Laboratories said in a statement. Consolidated net sales of the company stood at Rs 2,372.24 crore for the quarter under consideration as against Rs 2,583.94 crore for the same period year ago. Branded and OTC category accounted for 58 per cent of total sales during the quarter at Rs 1,370 crore. Generics and others category recorded Rs 1,000 crore of sales for the quarter, it added. New Delhi: Pharma major Ranbaxy has elevated Arno Gessner to the position of global quality and compliance head after Dale Adkisson has stepped down from the post, a business newspaper has reported. Meanwhile the company has made Alexander Gebauer as its new head of global research and development, the paper added. The management rejig at Ranbaxy assumes significance ahead of the $4-billion merger of Ranbaxy Laboratories Ltd with Sun Pharmaceutical Industries Ltd.
New Delhi: The USD 4-billion merger of Ranbaxy Labs with Sun Pharmaceutical has got clearance from the two leading stock exchanges -- BSE and NSE. The 'no-objection' from the two exchanges would allow the two companies to file their scheme of amalgamation with the High Court for further clearance of the deal and marks one of the numerous regulatory approvals that Sun Pharma and Ranbaxy need to consummate for the transaction. The deal had separately come under scanner of the markets regulator Sebi for alleged insider trading violations and the present 'no-objection' from the exchanges. New Delhi: European health regulator on Thursday lifted suspension imposed on export of drugs produced at Ranbaxy's Toansa plant to the EU stating medicines produced at the site posed no risk to public health despite having a number of manufacturing deficiencies. In a statement, the European Medicines Agency (EMA) said European regulatory authorities have finalised their assessment of reported non-compliance with Good Manufacturing Practice (GMP) at the Toansa plant. New Delhi, May 21 : The Supreme Court Wednesday asked the Andhra Pradesh High Court to decide in two days the issues that have been raised to stall the amalgamation of Ranbaxy Laboratories Limited with Sun Pharmaceutical Industries Limited following a $4 billion takeover deal. Sun Pharma had bought the stakes of Ranbaxy Laboratories from Japan's Daiichi Sankyo Co. in a $3.2 billion deal and $800 million of debts liability. India's largest drug maker by market value, Sun Pharmaceutical Industries has indicated that it is planning to buy Ranbaxy Laboratories in a deal valued at $3.2 billion in stock. The acquisition will be the biggest by any Indian company in two years. Under the terms of the deal, Ranbaxy investors will get 0.8 share in Sun for every one share in Ranbaxy, the two pharmaceutical giants said in a statement. The deal values the shares at about 457 rupees a share, or about 24 percent higher than the 60-day average. Stock in pharmaceuticals giant Ranbaxy Laboratories Ltd slipped as much as 3.8 per cent in early morning trade on Monday after the company confirmed that it was recalling nearly 64,000 bottles of the generic version of a cholesterol-lowering medicine in the United States. Ranbaxy said it was withdrawing 64,626 bottles of Pfizer Inc. Lipitor drug atorvastatin calcium a pharmacist in the United States received a product complaint. The pharmacist received a complaint that a 20 milligram tablet was found in a sealed bottle marked for 10 milligram pills. New Delhi, Feb 25 : India's largest drug maker Ranbaxy Laboratories Tuesday said it has halted temporarily drug ingredient production at two of its facilities in the country as a "precautionary measure". The two factories, located in Toansa in Punjab and Dewas in Madhya Pradesh, produce active pharmaceutical ingredients (API), the key components to medicines. New York, Feb 19 - India's Ranbaxy Laboratories and Israel's Teva pharmaceutical Industries are set to settle over allegations that the two rival generic drug makers made an unlawful agreement to restrict competition, according to a media report. New York Attorney General Eric Schneiderman plans to announce the settlement Wednesday with US units of the two companies, the Wall Street Journal reported saying Schneiderman's office had confirmed the settlement. Investors need to more cautious before increasing their stakes in pharmaceuticals giant Ranbaxy Laboratories Ltd. as the company's stocks may take more time to improve, many analysts suggest. The woes of Ranbaxy seem to be never ending as the company has frequently been by the U. S. Food & Drug Administration (FDA) with drug imports bans. In the most recent case, the FDA banned the import of certain drugs produced at the company's Toansa, Punjab-based facility, citing manufacturing violations.